As we all sit back considering the excesses of Christmas, I'd like to draw the attention of all keen gardeners here in the UK to the number of gardens that open for charity. These are the gardens that you wouldn't otherwise see and many gardens featured in these programmes are not only exquisite, but also unusual. Most English readers will be familiar with the NGS (National Gardens Scheme) which now claims to have well over 3,000 properties opening in 2010 - it's a laudable cause, with all proceeds going to cancer charities, and a fantastic portfolio of properties all around the UK - all feature in the famous "Yellow Book", which is published every February. The gardens featured in the book are incredibly varied, but what is so good is that many of the big established gardens also participate, so you can visit many properties that I have featured on my blog in the past at a reduced price on an NGS day and all proceeds go to charity. Properties range from Mary Keen's wonderful cottage garden in the Cotswolds (above) - The Old Rectory at Duntisbourne Rouse - to the Queen's garden at Frogmore, set to open on 18 May this year. 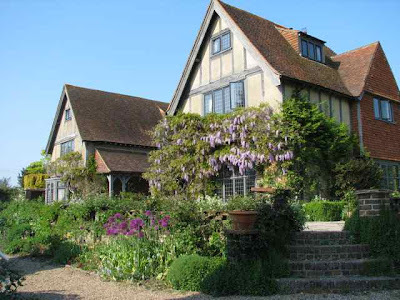 But the most striking feature about all these gardens is that they are personal, not commercial, and you are aware that every plant has been lovingly chosen by the owner to compliment their own personal garden scheme. 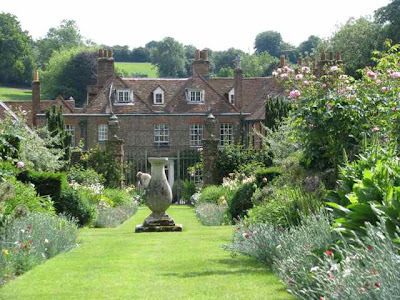 Bramdean House (above) in Hampshire has the most striking borders - it's well worth making a special visit for. 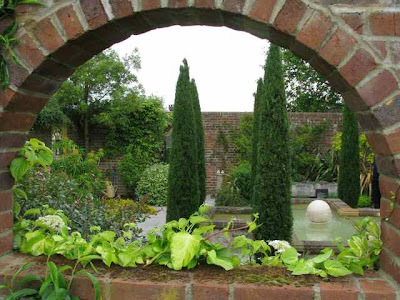 Latchetts in Sussex (above) has an incredible walled garden .... and is open for several days each summer - it is close to several other gardens that also open for charity - check the Yellow Book and you will find that you can probably combine it with other open gardens in the area. 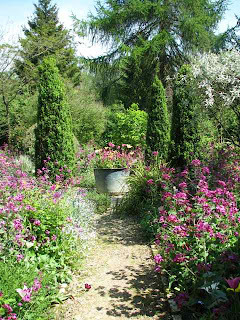 Edenbridge House in Kent is magnificent - a riot of colour throughout the season and open on a regular basis throughout the summer (as are many of the gardens in the scheme). 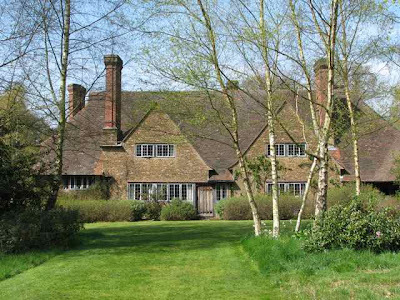 Munstead Wood in Surrey (above) was Gertrude Jekyll's home and deserves a visit just to pay tribute to this amazing woman ... you could combine this with Vann (the first featured garden in my Christmas series) - also open for the NGS - if the days coincide. Town Place, Sussex (above), has displays of roses that you wouldn't believe.... it's an astounding property that opens on several days during the summer. And there are also gardens that open for the British Red Cross, the RNLI (Royal National Lifeboat Institution); as well as village garden schemes; an Open Squares weekend in London scheduled for 12-13 June 2010, and properties like Coombe Trenchard in Devon - the rarely-seen Arts & Crafts garden laid out by Walter Sarel who collaborated with Gertrude Jekyll. 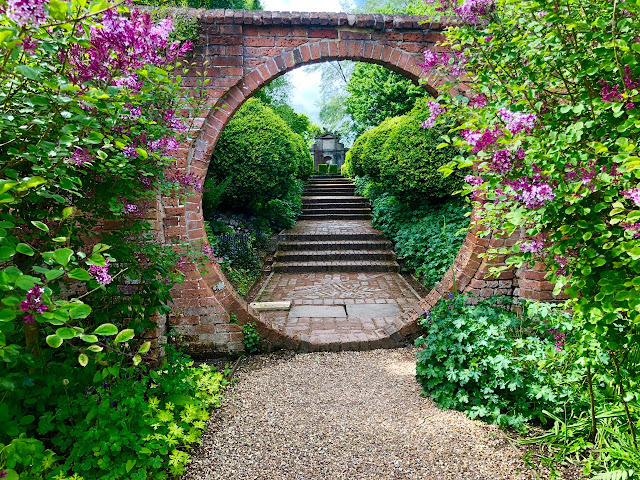 If you spend a little bit of time researching on the Internet, you'll find many unusual gardens to visit that will not only give you great pleasure, but support worthy causes. But perhaps the biggest round of applause should go to the garden owners who participate in these schemes, because they work incredibly hard to get their gardens ready for open days and always run the risk of falling foul of the English weather! I'd never heard of gardens open for charity. That's a neat idea...does anyone know of any such thing in the United States? Our "Yellowbook" is a phone book! That walled garden looks gorgeous. Such beautiful places. Bramdean House is awe-inpsiring. 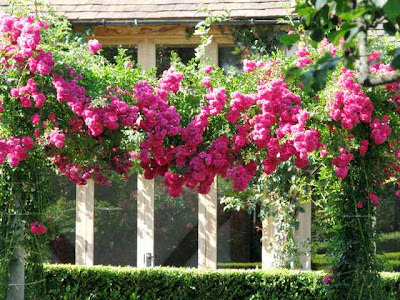 You wonderfully talented British gardeners! Nothing short of fabulous. I probably won't be crossing the pond anytime soon which makes your blog all the sweeter. 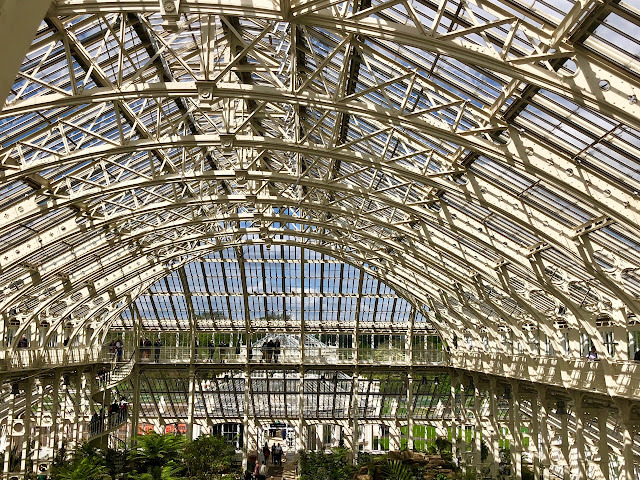 All the gardens featured here are so beautiful! And to think that they're not commercial. Love the idea of showing them to the public with the proceeds going to charity. Some day, Charlotte, some day I will see these gardens and doing so on the charity days would be perfect. Thanks for showing these, the borders and roses sing a siren song. Mary Anne, The Garden Conservancy's Open Days Program is very similar to the NGS. See www.opendaysprogram.org for details, the season runs from March to November all around the country! I've just been loving these posts! I can't wait to see some of these gardens in person someday!